The ancient seat of the Lennox Clan the castle has been rebuilt throughout the past 1000 years. The original building was constructed in the 13th century and eventually degraded until the latest building was constructed in the 19th century in tudor gothic style. The original inhabitants moved from the castle in the 15th century when there was an outbreak of plague in the local area forcing them to move to the nearby Inchmurrin Island and build a castle there to protect them from the disease. 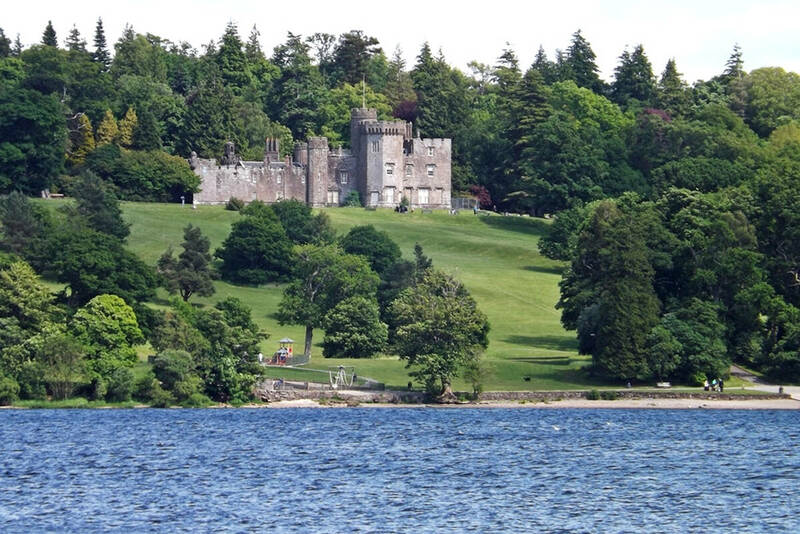 The castle is surrounded by gardens and overlooks the south and east of Loch Lomond. A short walk from the village of Balloch the castle and its grounds are home to rhododendrons and azaleas with many other plants and imported shrubs woven between the ornamental trees. Used as a concert venue and a park for daily activities the Castle and grounds are host to the Loch Lomond Highland Games every summer.